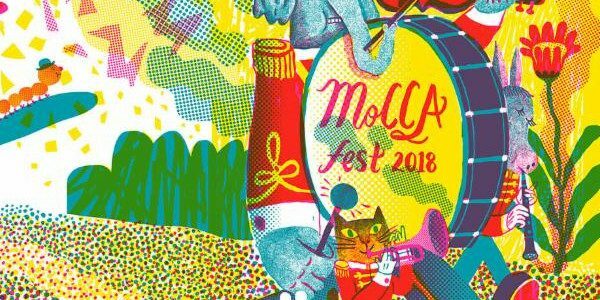 MoCCA Arts Festival is Manhattan’s largest indie comics, cartoon, and animation festival in the heart of midtown. Each year over 7,000 people attend to see what the best and brightest of established creators and newcomers are working on. There are lectures, film screenings, workshops, and over 400 artists exhibiting their work. The 2018 festival is April 7th & 8th. This year Comic Book Legal Defense Fund is hosting signings with some of MoCCA’s most prestigious speakers! All signings will be held at the CBLDF Booth | C 139, 140, 141, 142. Before and after the signings, make sure you check out the creator signed premiums available at the booth! Roz Chast created over 800 cartoons for The New Yorker. Her work focuses on urban and domestic life, in her inimitable line. Her cartoons have also been published in other notable publications like Scientific American, the Harvard Business Review, Redbook, and Mother Jones. Her award-winning titles include her memoirs Going Into Town and Can’t We Talk About Something More Pleasant (Bloomsbury); Theories of Everything: Selected, Collected, and Health-Inspected Cartoons of Roz Chast, 1978 – 2006 (Bloomsbury); The Alphabet from A to Y, with Bonus Letter Z (Flying Dolphin Press), with Steve Martin; and many others. Max de Radiguès is a cartoonist and an editor at the Belgian publishing house L’employé du moi. In addition to publishing works by international authors, L’employé du moi publishes grandpapier.org, an international hub for online comics. De Radiguès is the author of more than a dozen books and has contributed to countless anthologies in Europe and North America. He spent time as a fellow at the Center for Cartoon Studies in Vermont; his account in comics form of his time at the school, Pendant ce temps à White River Junction, was part of the Official Selection at the Festival International de la Bande Dessinée in Angoulême in 2012. His English-language work Moose was serialized by Oily Comis, and was published in a collected edition by Conundrum Press in 2015. His latest book, Bâtard, was published in 2017 by Casterman. An English-language edition of his book Weegee: Serial Photographer is forthcoming from Conundrum Press. He appears at MoCCA with the support of the Fédération Wallonie-Bruxelles. Mike Mignola - best known for his collection of titles created for Dark Horse Comics, including 13 graphic novels collecting his signature Hellboy series, and spin-off titles B.P.R.D., and Lobster Johnson, Abe Sapien, and Witchfinder. His comic book The Amazing Screw-On Head, also published by Dark Horse, received an Eisner Award for Best Humor Publication in 2003. Mignola has co-authored two projects with best selling author Christopher Golden: Baltimore, or, The Steadfast Tin Soldier and the Vampire (Bantam Spectra) and Joe Golem and the Drowning City (Dark Horse Comics). In addition, Mignola has worked on numerous film and television projects and is currently co-writing the script for Hellboy: Rise of the Blood Queen, due to be released by Lionsgate in January 2019.